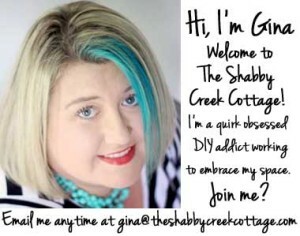 Hello all Shabby Creek Cottage readers! I am Angie and I am lucky enough to be BFFs with Gina. 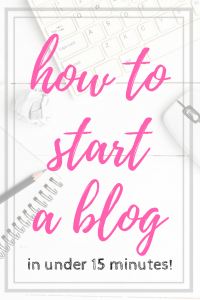 I blog at The Country Chic Cottage and Crafts with Jars (just in case you don’t know me). 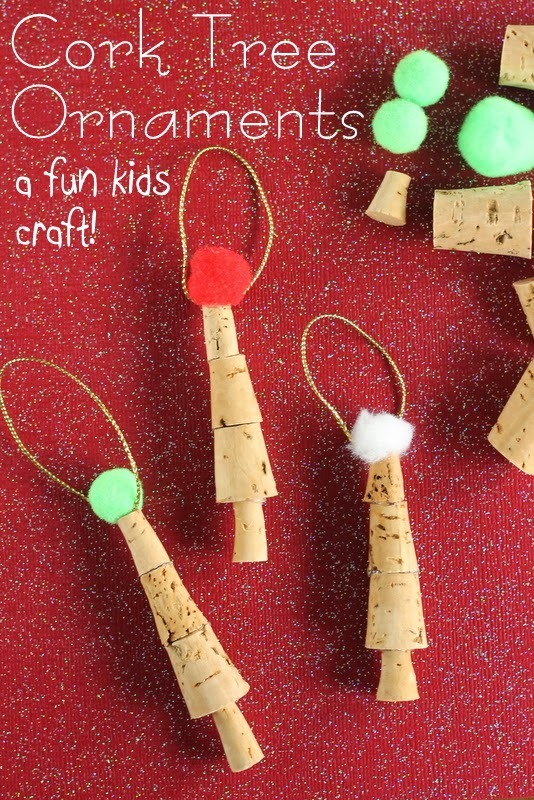 I am here today with a super simple ornament that I thought would make a great kids craft. I love crafting with my kids all through the year but Christmas is when we really get crafty. These easy cork ornaments are a great craft project for kids of all ages. Start with some corks and pompoms. I used purchased corks actually cause I have none at home. But you might just have some that you are saving to recycle and this project is perfect for that. 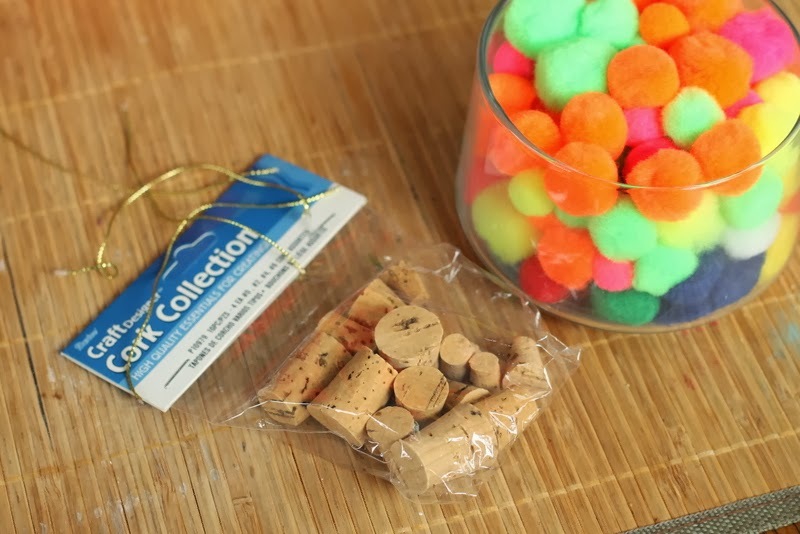 Corks can be found at your craft store if you need them (like me!). 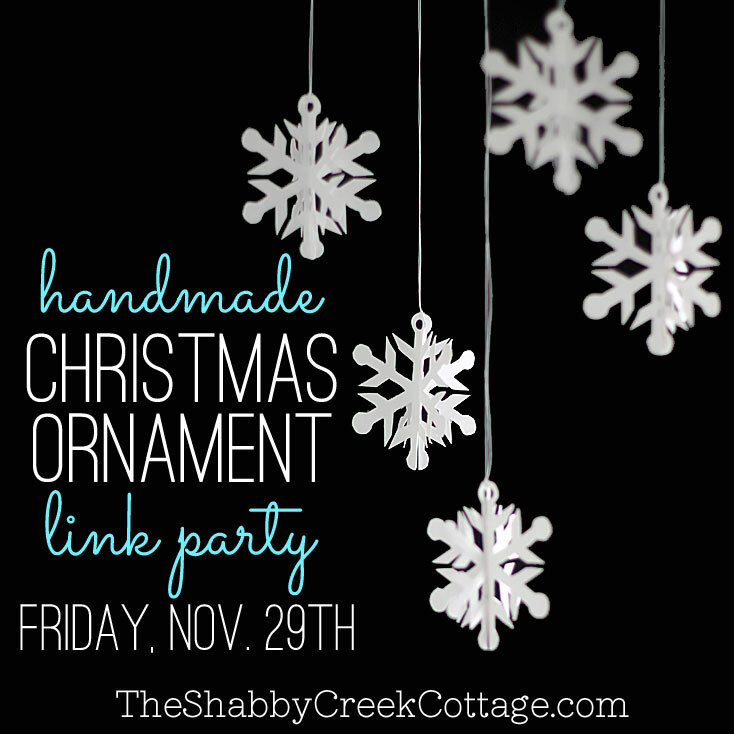 You will also need some type of cording or ribbon for a hanger. I had a package of assorted sized corks so I dug around and tried things together until I got a tree like shape. I used hot glue to adhere all of my pieces together just because it was fast. For the little kids, I would recommend either low temp glue or a quick drying adhesive. We don’t want any burns y’all. So there you have it, my 5 minute cork tree ornaments all lined up and ready for the tree. 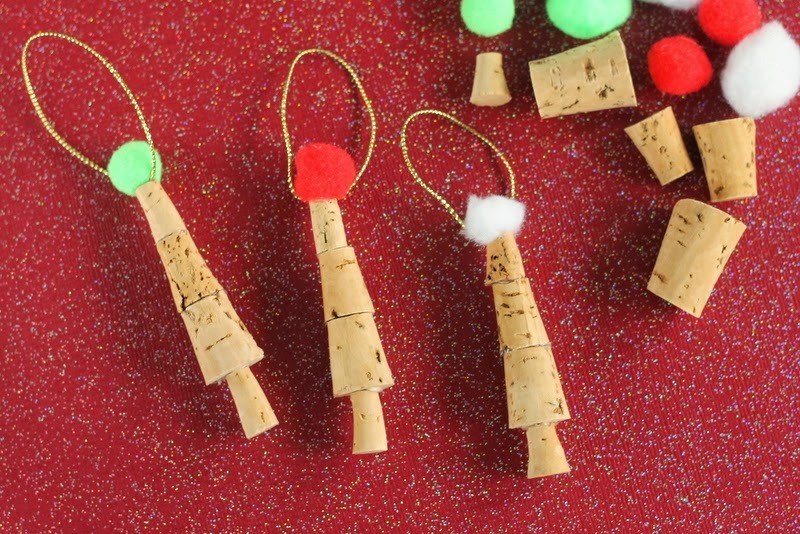 Make some of these with your kids this year and make memories that will last a lifetime. Thanks so much Gina for having me today. And y’all come on over and visit the cottage anytime. 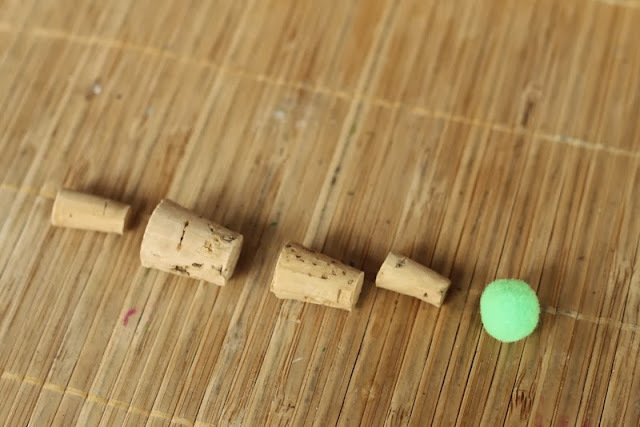 Aren’t these adorable…quick and easy and the kids can grow a forest of trees in no time! 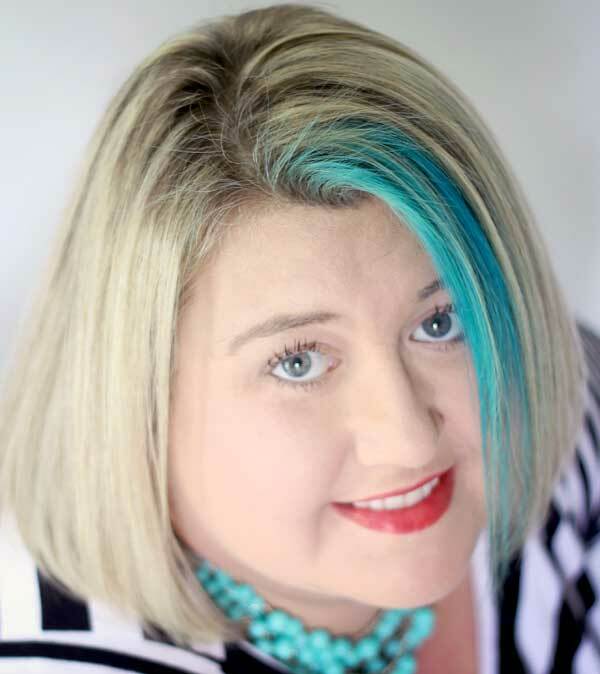 Thanks Angie…you rocked this!!! : ) Hugs to you and Gina for bringing us all this ornament cheer.